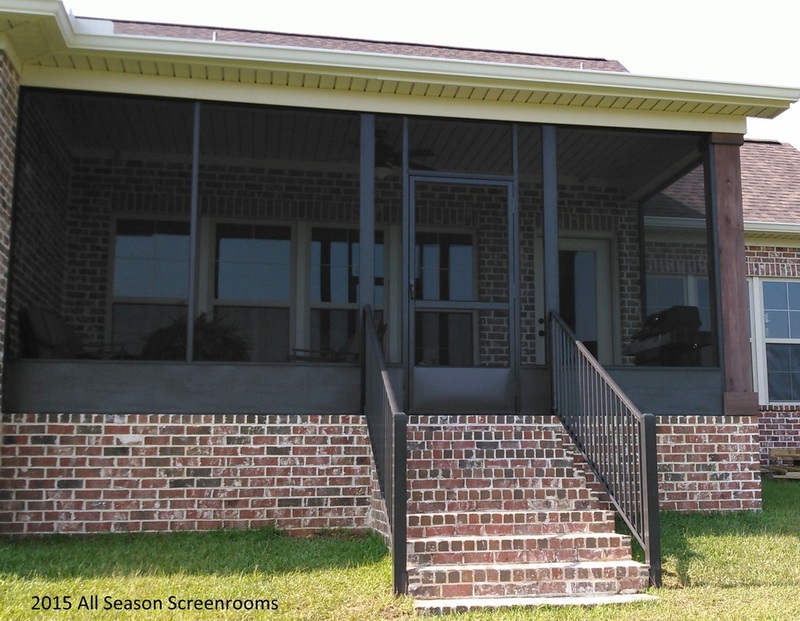 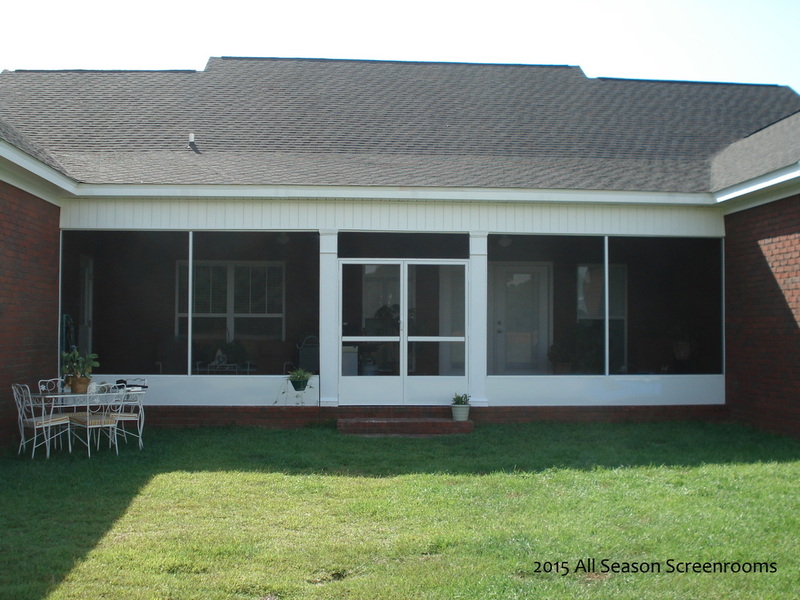 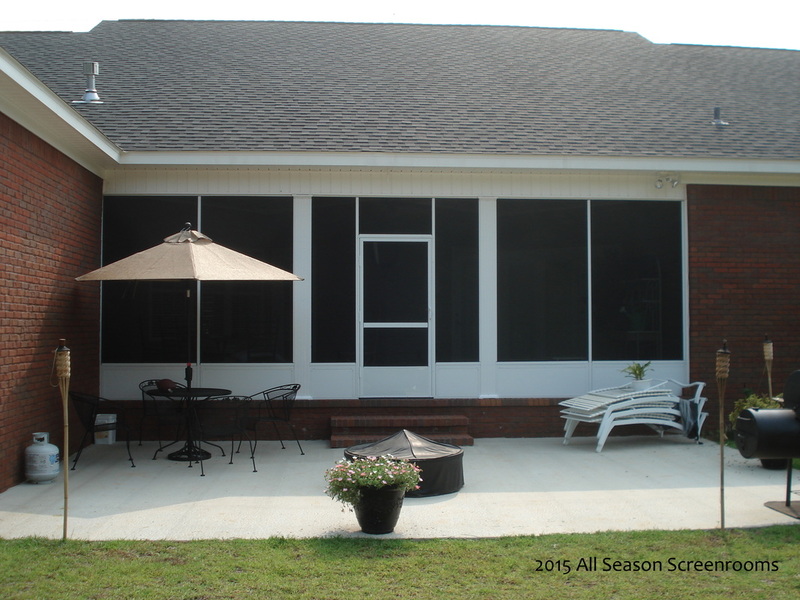 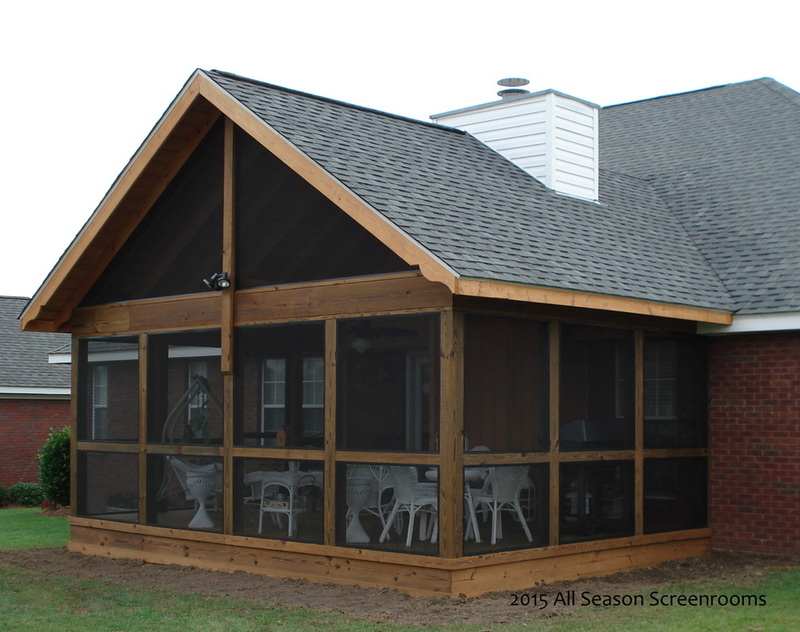 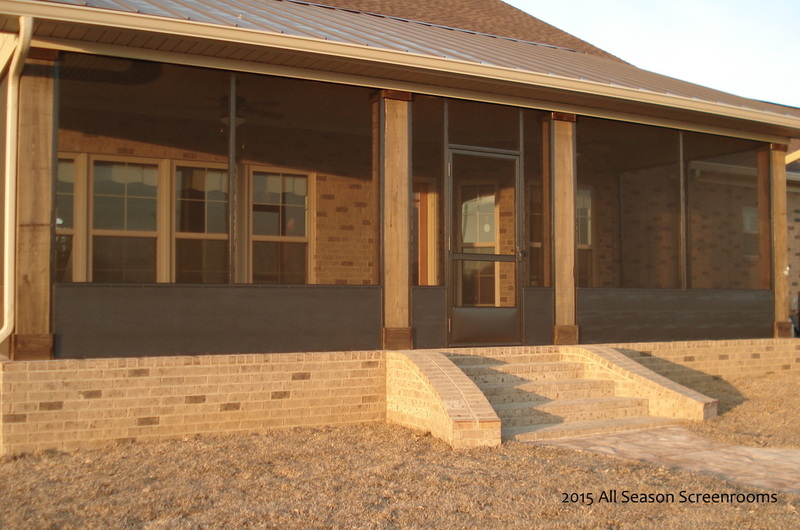 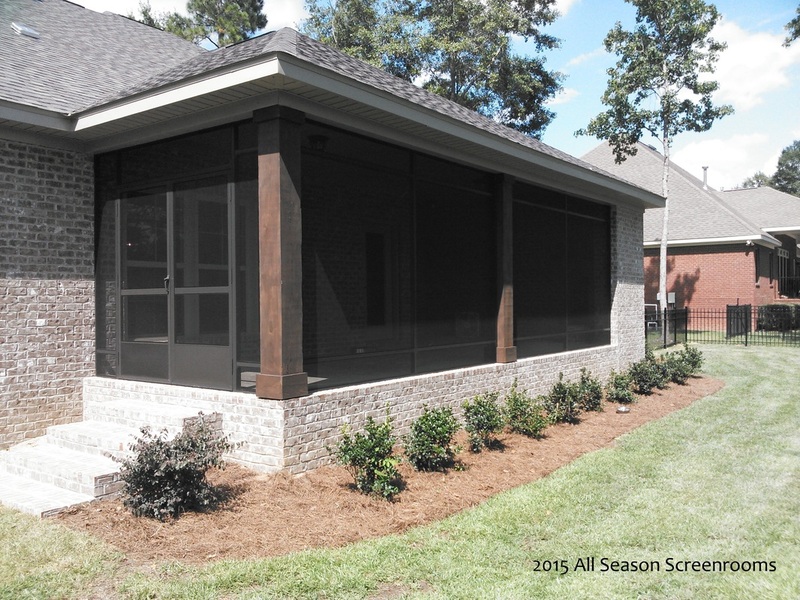 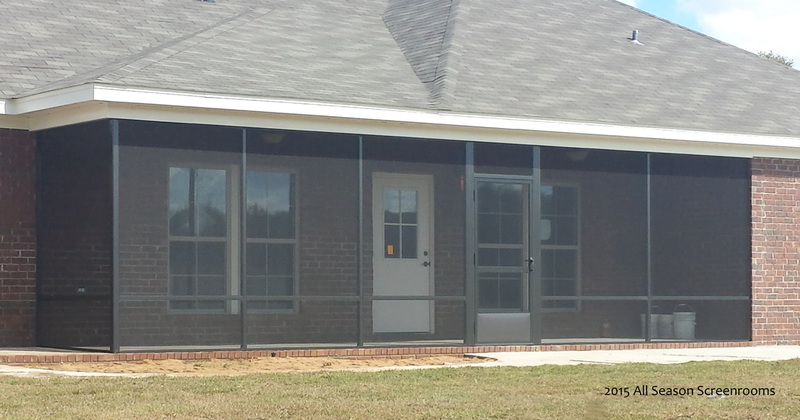 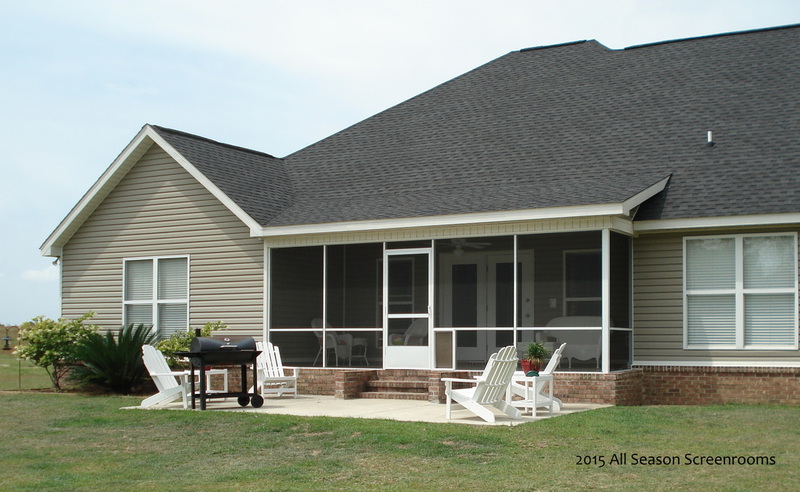 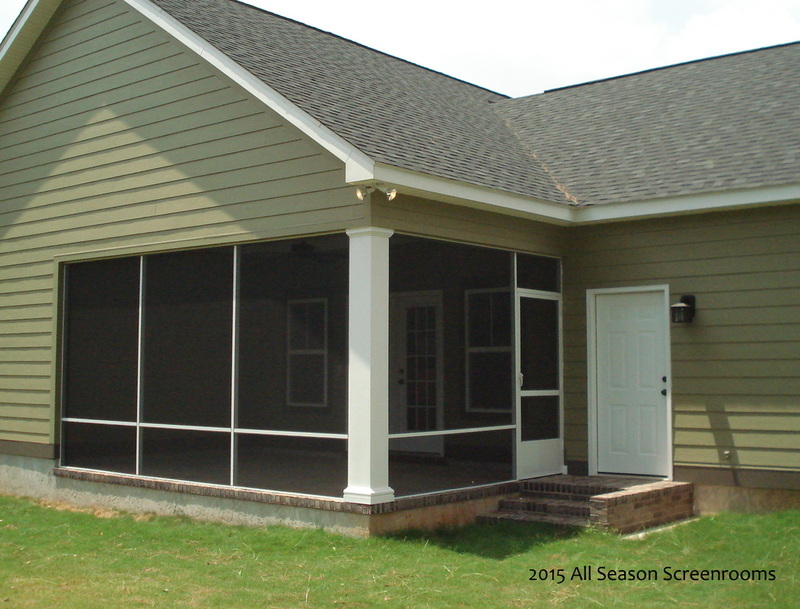 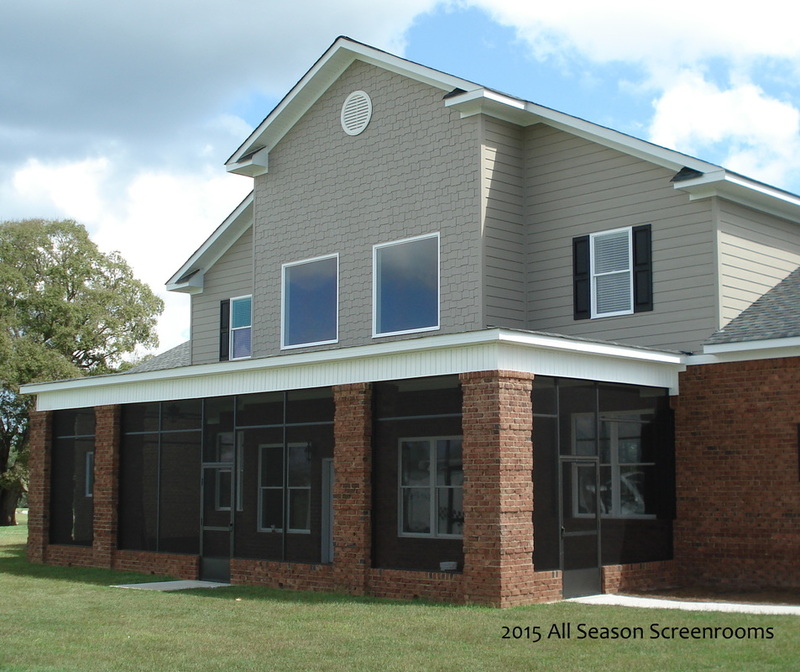 If you already have a covered porch, we can add screen to make it pest free. 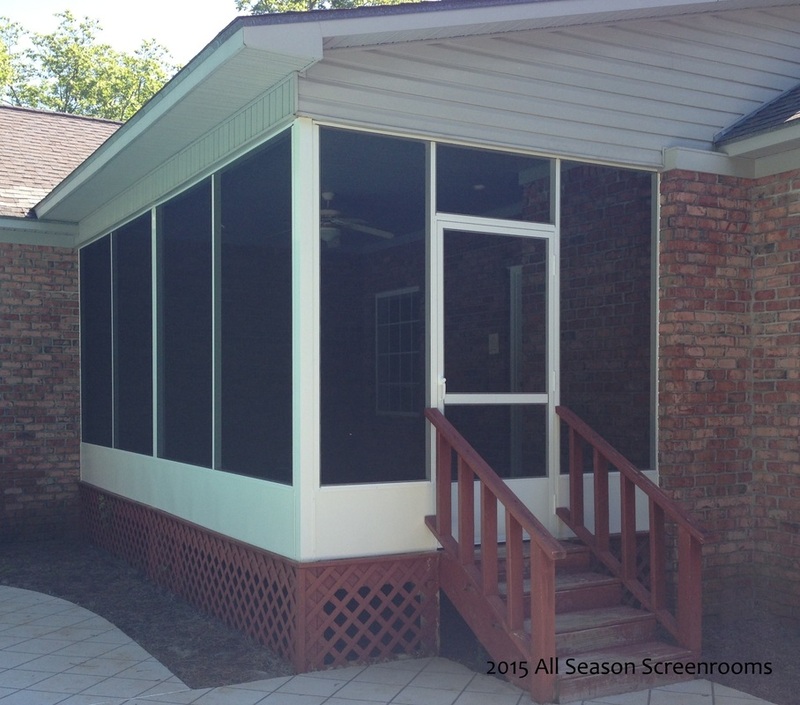 Have a patio or deck, we can add a top with screen underneath. 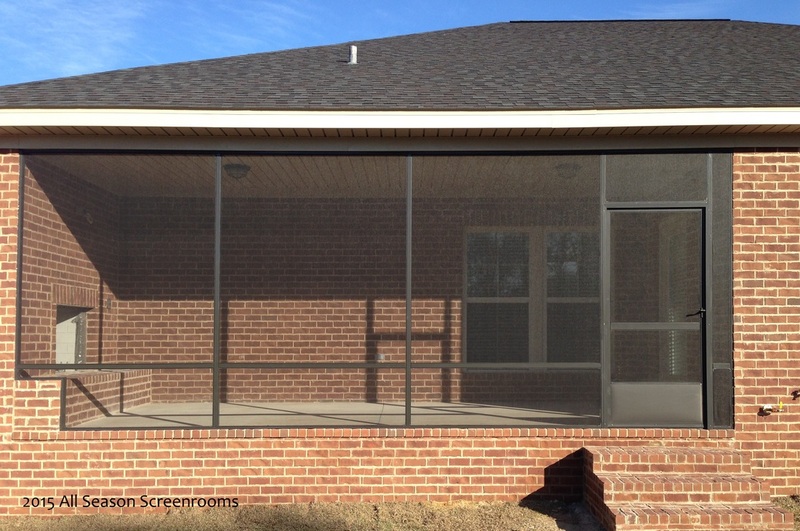 Nothing says southern life at its finest like a screened in porch! 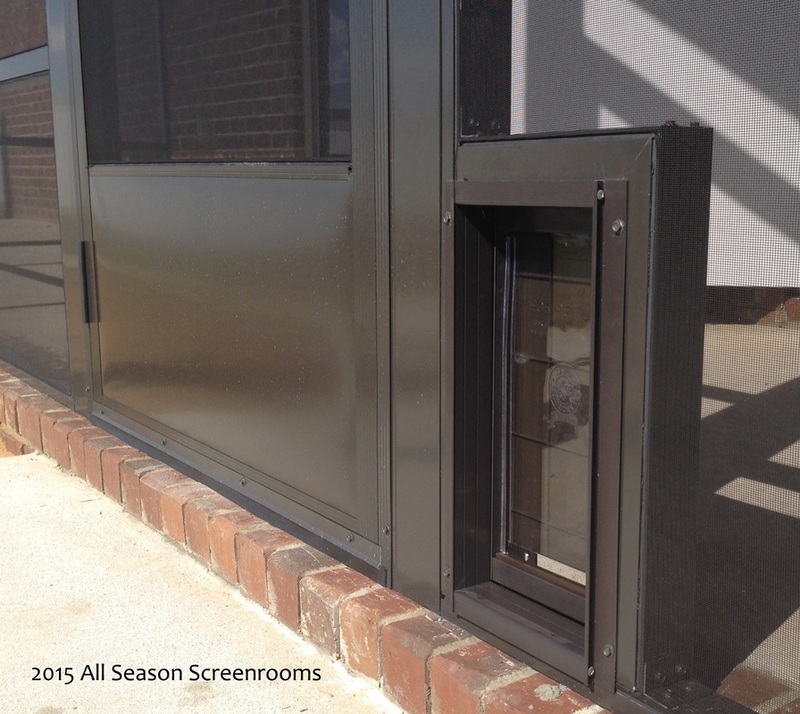 Bronze dog door in screen enclosure. 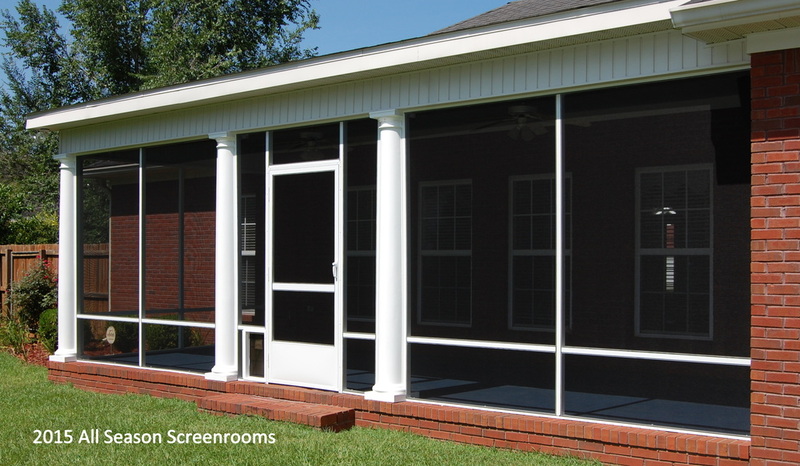 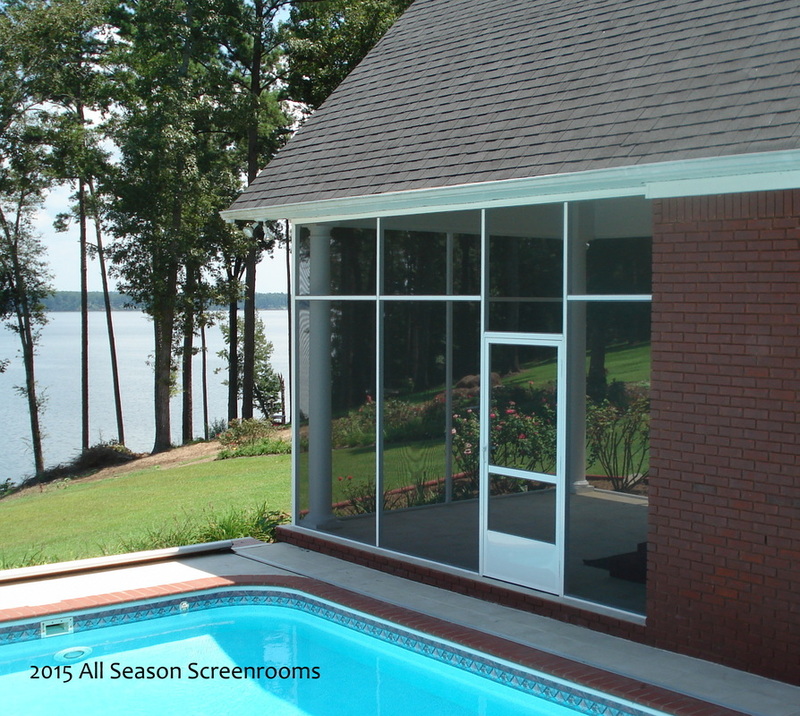 White screen enclosure with French Doors. 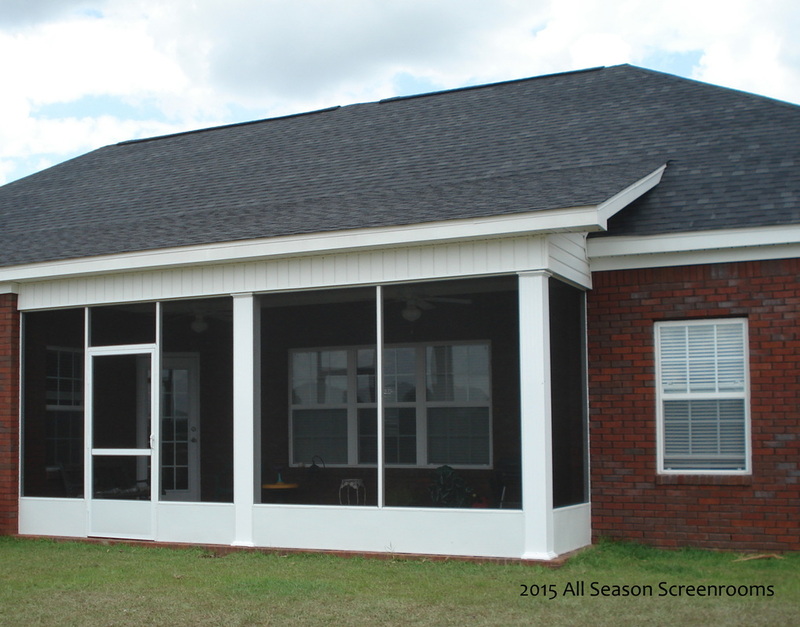 White screen enclosure with dog door under existing roof with round columns. 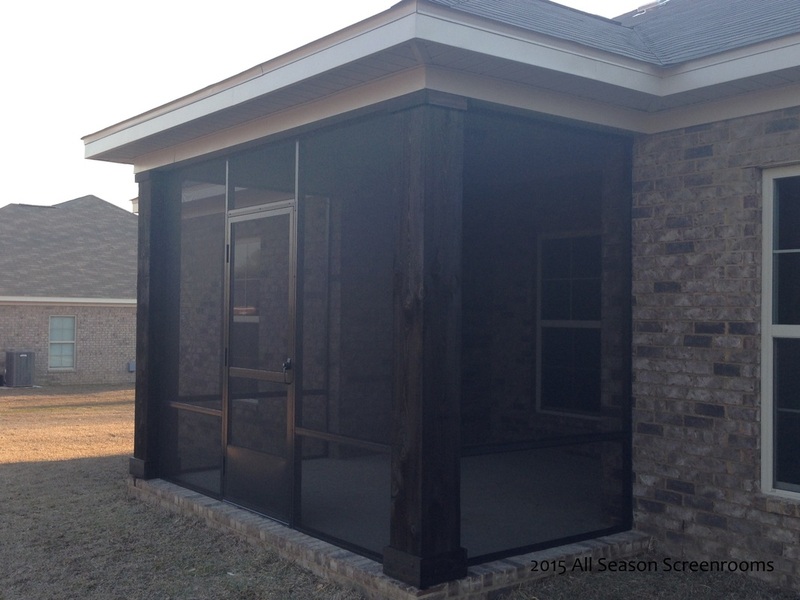 Screen enclosure with handrails in bronze.